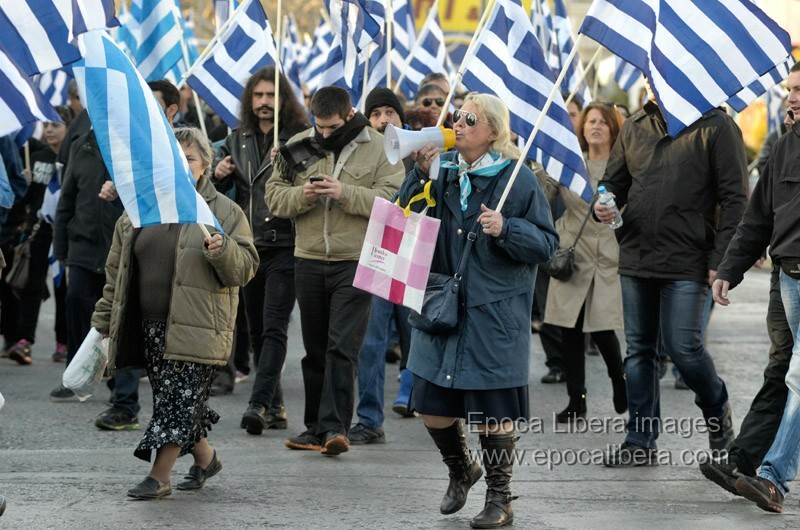 Athens, Greece, 14 December 2013. Several hundred supporters of the Golden Dawn far-right party gathered and marched in Athens in protest over the planned construction of a mosque in the Greek capital. Athens is the only European Union capital without an official mosque. 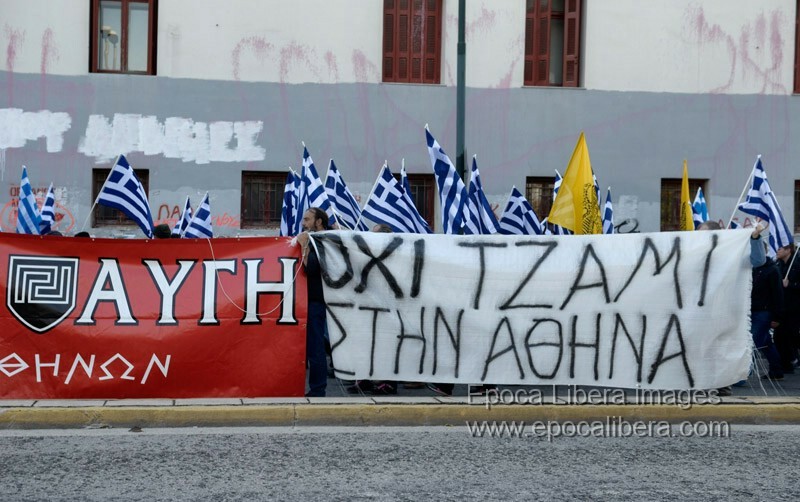 After the gathering Golden Dawn supporters marched in Athens for the first time since the murder of the anti-fascist rapper Pavlos Fyssas , who was stabbed to death by a Golden Dawn member. 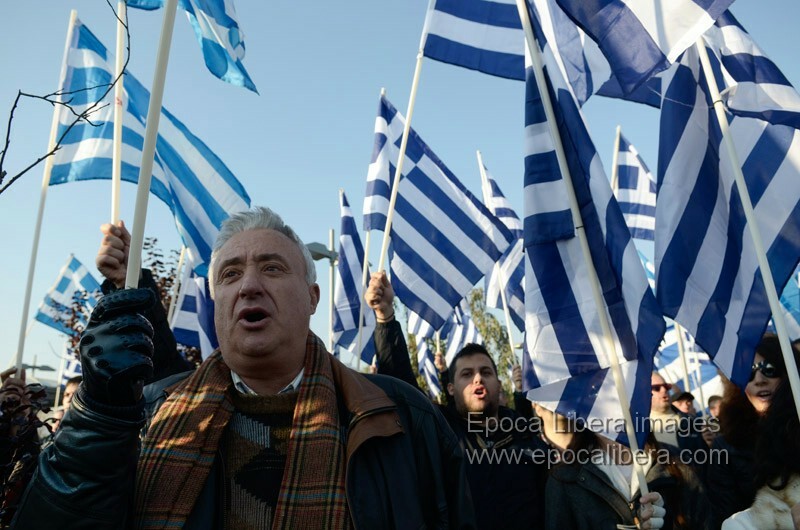 Far right Golden Dawn supporters protest against the construction of the official mosque of the Greek capital waving Greek flags. 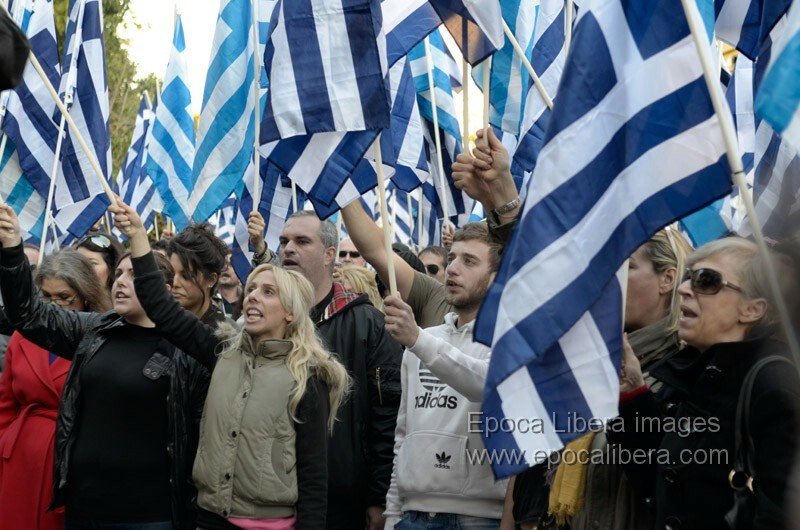 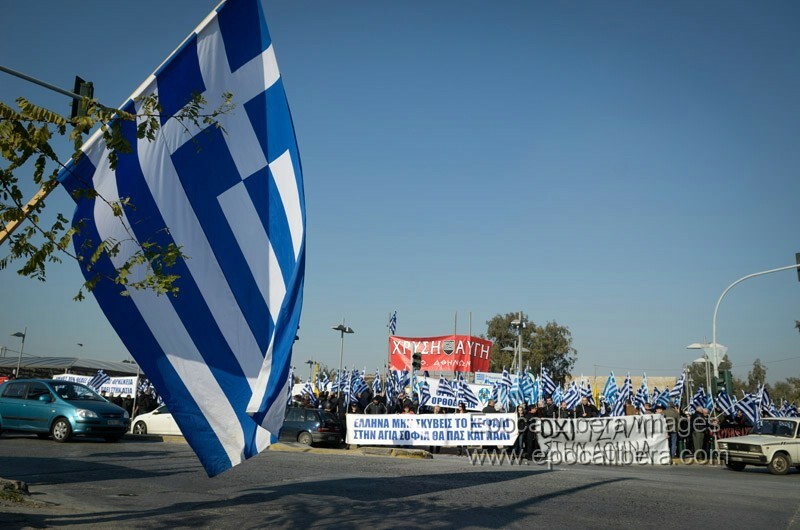 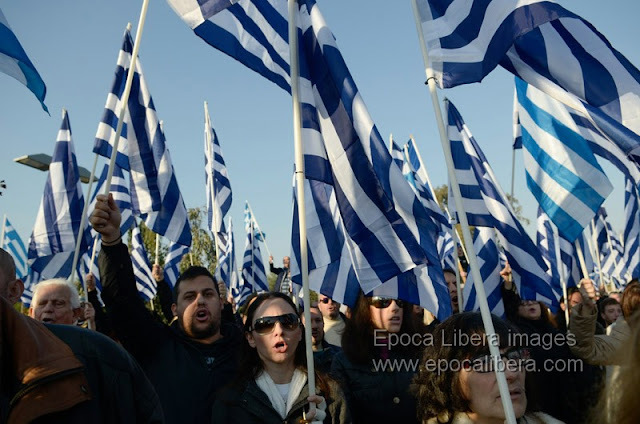 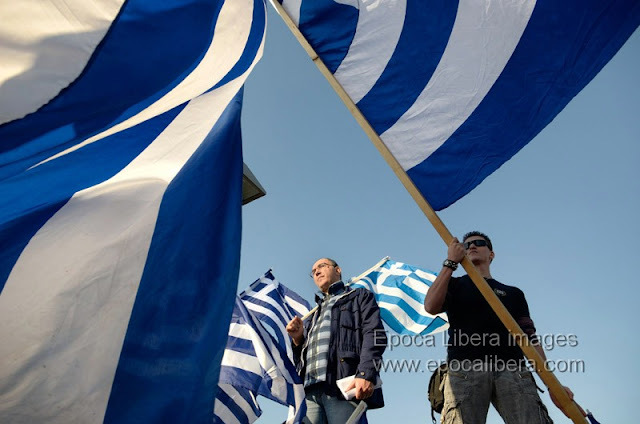 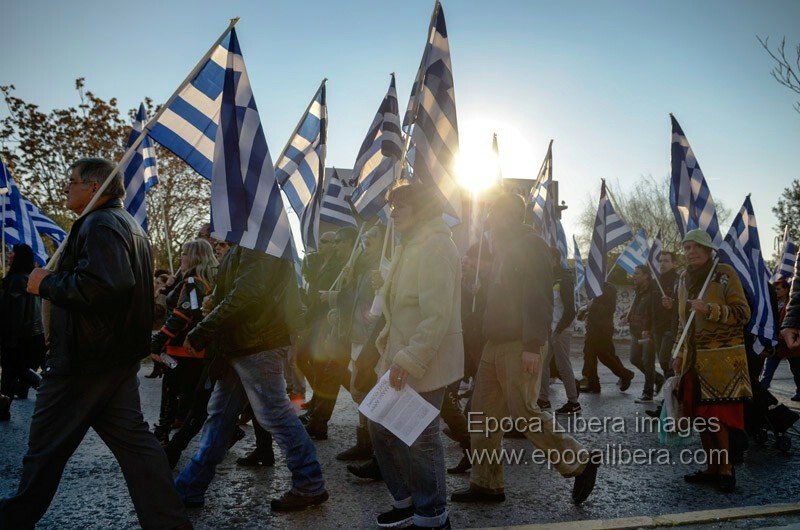 A male protester is seen here as he waves a giant Greek flag. 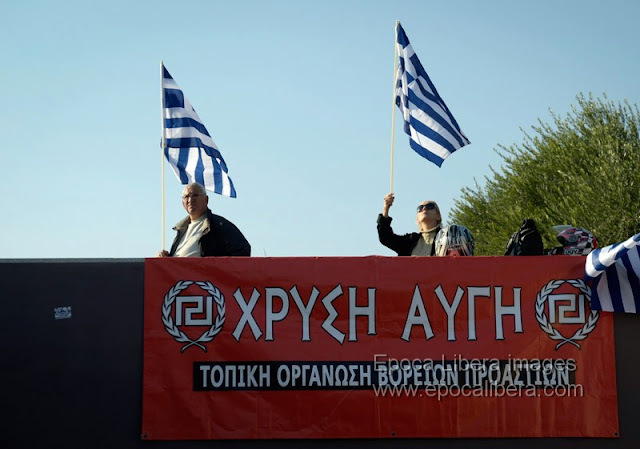 Far-right Golden Dawn supporters gather to protest in the Elaionas area of Athens, where the official mosque of the Greek capital is planned to be constructed. 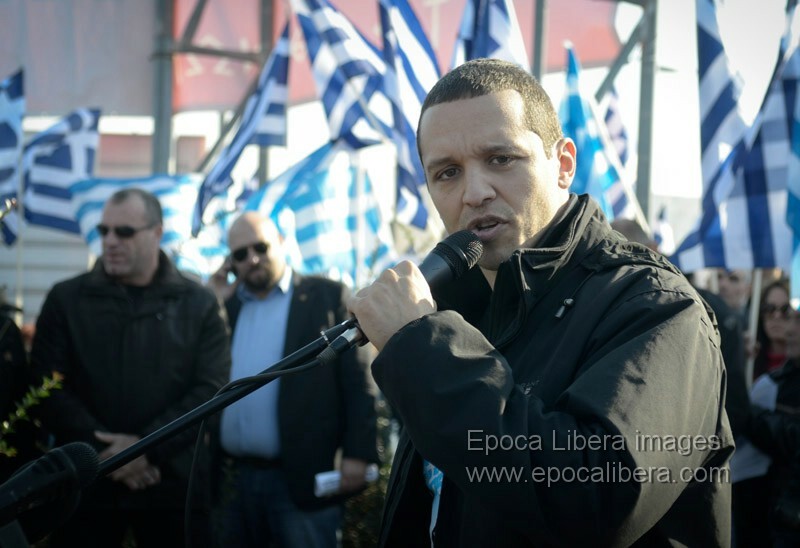 Golden Dawn MP Ilias Kasidiaris delivers a speech to protesters against the construction of a mosque in the Greek capital. 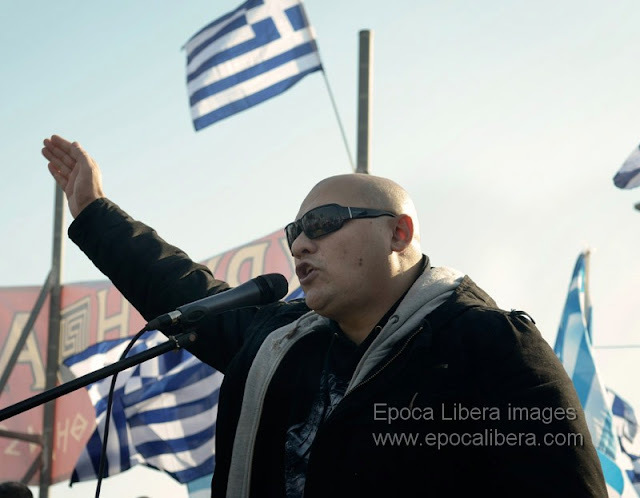 Golden Dawn MP Giorgos Germenis delivers a speech to supporters who had gathered to protest in the Elaionas area of Athens, where the official mosque of the Greek capital is planned to be constructed. 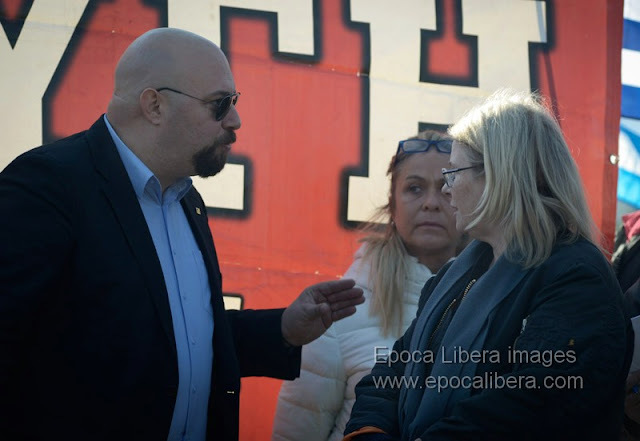 During the rally MP Ilias Panagiotaros (L), speaks with MP Eleni Zaroulia (R) and the parliamentary candidate of the Golden Dawn party Themis Skordeli (M) . Far right Golden Dawn supporters wave Greek flags as they protest against the construction of the official mosque in the capital, Athens. 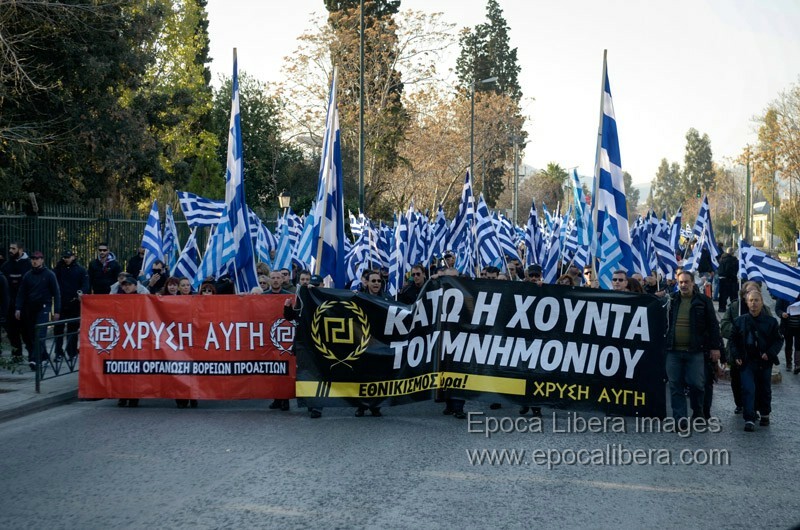 Far right Golden Dawn supporters protest against the construction of the official mosque of the Greek capital waving Greek flags. 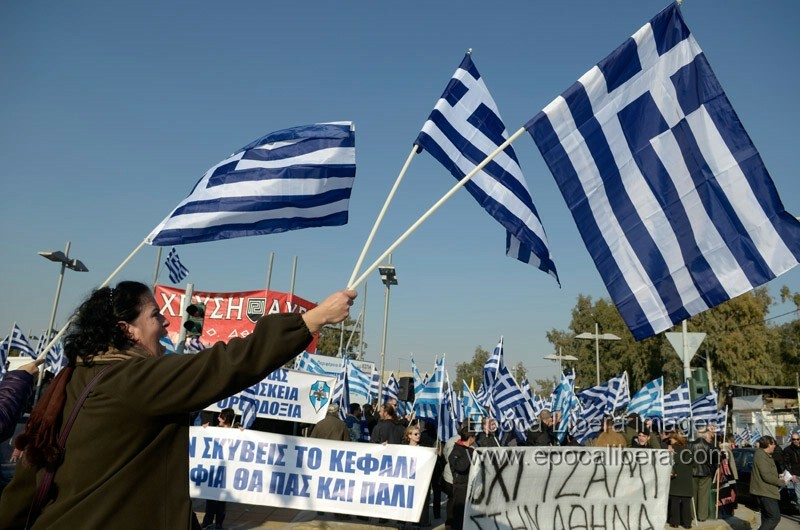 A male protester waves a giant Greek flag. 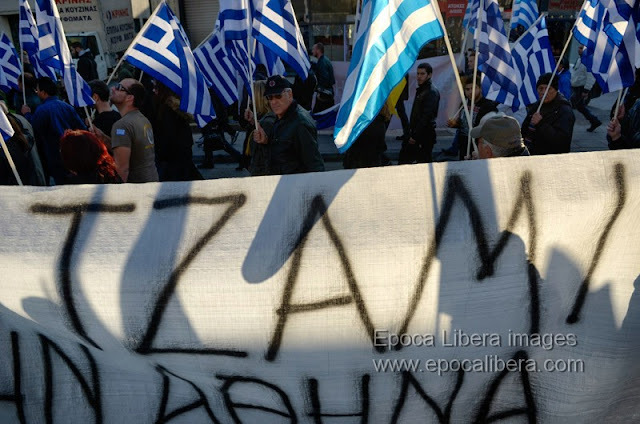 Far-right Golden Dawn supporters shout slogans as they protest in the Elaionas area of Athens, where the official mosque of the Greek capital is planned to be constructed. Far right Golden Dawn supporters protest shouting slogans against the construction of the official mosque of the Greek capital waving Greek flags. 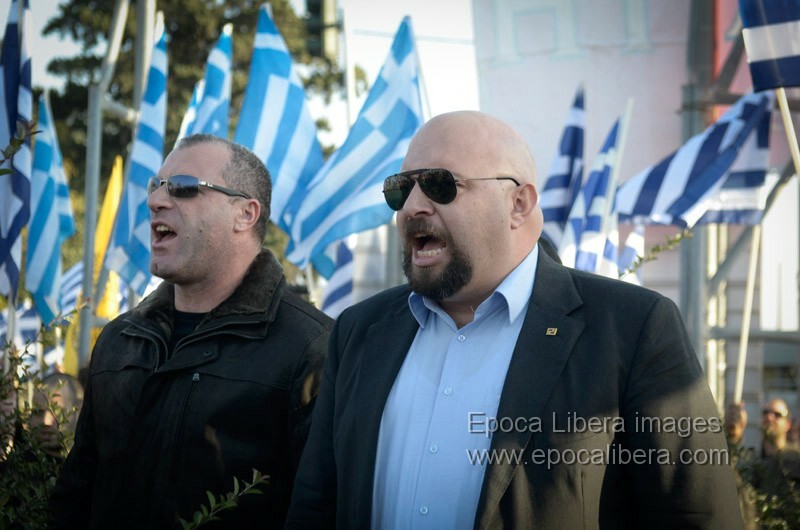 Golden Dawn MP Nikos Michos and Ilias Panagiotaros shout slogans against the planned construction of an official mosque in the Greek capital. 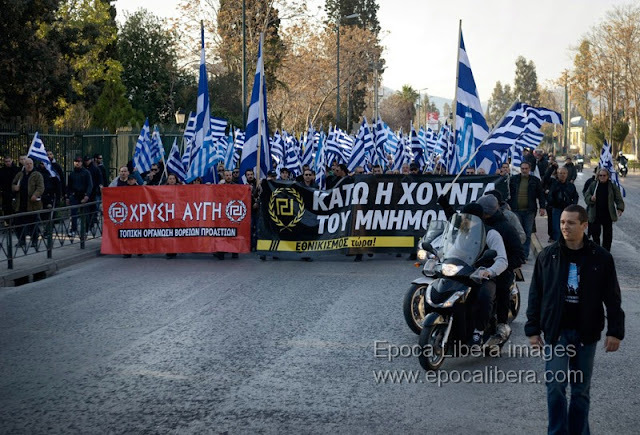 After the gathering Golden Dawn supporters march in Athens for the first time since the murder of the anti-fascist rapper Pavlos Fyssas, who was stabbed to death by a Golden Dawn member. "No mosque in Athens" written on the banner that Golden Dawn supporters hold during the anti-mosque rally. 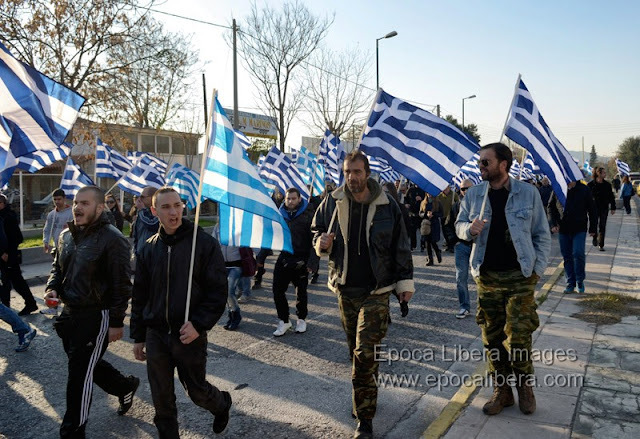 Golden Dawn supporters march in Athens holding Greek flags, in protest against the construction of the official mosque of the Greek capital. 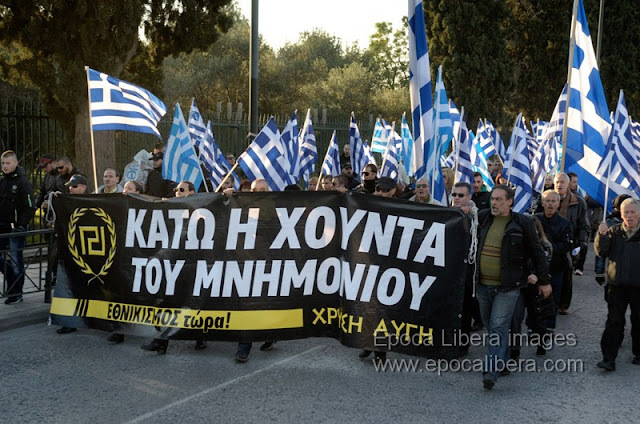 Far-right Golden Dawn supporters march to protest in the Elaionas area of Athens, where the official mosque of the Greek capital is planned to be constructed. 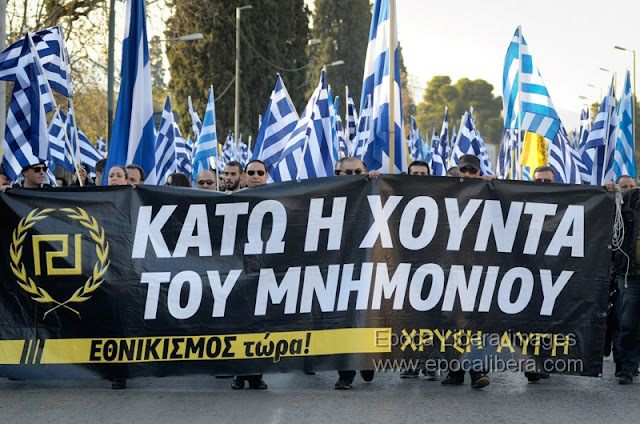 A banner reads: "No mosque in Athens" as far-right Golden Dawn supporters gather to protest in the Elaionas area, where an official mosque of the Greek capital is planned to be constructed. 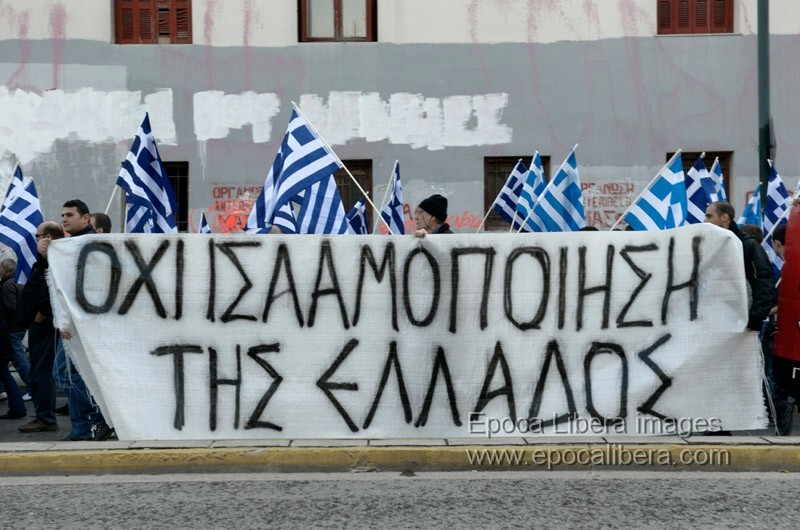 "No to the Islamization of Greece" written on the banner that Golden Dawn supporters hold during the anti-mosque rally. Far-right Golden Dawn supporters march in protest in the Elaionas area of Athens, where the official mosque of the Greek capital is planned to be constructed. 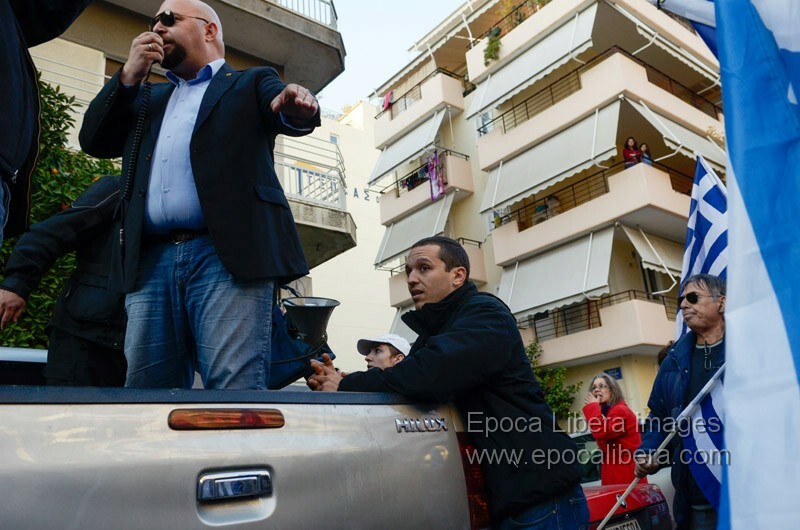 Golden Dawn MP Ilias Panagiotaros (L) steps onto a pickup truck while speaking to the protesters, during the anti-mosque rally. 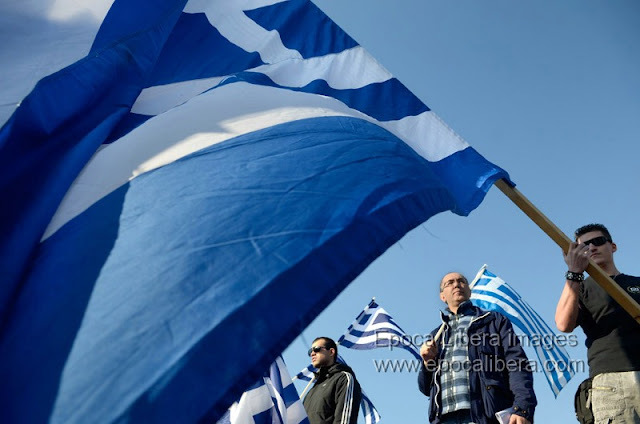 For licensing images of this story, contact me.